The Lagos State Government is set to empower 1000 Persons With Disabilities (PWDs) with grants of N100, 000 each, motorized wheelchairs, adapted laptops for the visually impaired and other assistive devices. The grants will be released through the Lagos State Office for Disability Affairs (LASODA). 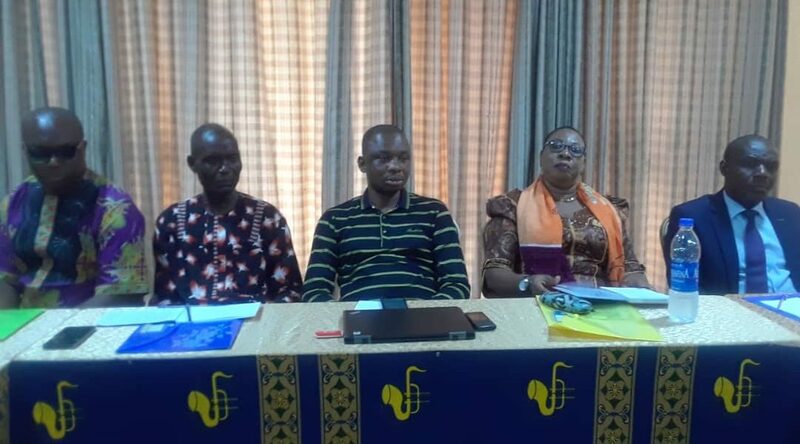 LASODA’s Director, Monitoring and Evaluation, Mr. Oguntoye Akintunde, stated this on Wednesday at the flag-off of a Three-Day Strategic Planning Summit on Implementation of Discrimination Against Persons with Disabilities (Prohibition) Act, held in Uyo. The strategic summit was organized by the Centre for Citizens with Disabilities (CCD) a Non-Governmental Organisation (NGO) aimed at educating, protecting and promoting the rights of Person with Disabilities (PWDs). Akintunde said that the empowerment programme under LASODA was initiated by Gov. Akinbode Akinwunmi-led government in 2017, where 500 PWDs were empowered with grants of N100, 000 each. “In 2018, although the funds were released toward the end of the year, we were still able to empower 1, 000 PWDs in the early part of 2019 with cash grants of N100,000 each. “For 2019 itself, between June and August, we would empower another 1,000 PWDs with N100, 000 each, and with other assistive devices to alleviate their sufferings. “The Assistive devices including motorized wheelchairs, adapted laptops for the visually impaired, desktop computers and many others,” he said. The director also said that the empowerment would cut across 8-identified cluster groups in the disabilities communities. “The Joint National Association of Persons with Disabilities (JONAPWD) comprising the Physically challenged, Visually Impaired, Earring Impaired, Spinal Cord Injuries, Albinos, Dwarf and those with intellectual disability have been identified,” he said. According to him, those suffering from intellectual disabilities would not be left out in the intervention and empowerment, especially those with down syndrome, autism, among others. Mr. David Anyaele, Executive Director of CCD, said that the Federal Government, state governments and other stakeholders must take into cognizance that the Act needed immediate implementation. Anyaele expressed concern that over 80 percent of the PWDs lived in the rural areas which had limited them access to infrastructure and as such, the implementation had become paramount. He also expressed worry that the challenges facing the disability laws enacted in Ondo, Kano and Lagos states, among others, may similarly affect the national disability law, as very little implementation, had been recorded in the states. He, therefore, called for a partnership with other disabilities organizations, State governments, Ministries, Department, and Agencies (MDAs) and other stakeholders to strategize for the full implementation of the Act. “This summit would help us to identify areas where NGOs and Civil Society Organisations (CSOs) can partner with the government to push for the active implementation of the 8 parts and more than 33 sections of the law,” he said. Mrs. Aisha Abubakar, Minister of Women Affairs and Social Development, commended CCD on its continuous efforts at ensuring that the disability law was not just a law, but a working law in Nigeria. The minister who was represented by Mrs. Nkechi Onwukwe, Director Rehabilitation of the ministry, urged disability organizations, MDAs, and stakeholders who did not participate in the struggle that led to the realization of the law to get involved in formulating strategies for the implementation of the law. Mr. Felix Okpara, Director of Rehabilitation, Ministry of Strategy and Social Development, Abia State, said that the Act needed not to be over-flogged, as the issues surrounding disability were too huge and numerous to be ignored or waved aside. He encouraged PWDs not to relent in the struggle to achieve a successful implementation of the law, which he said was for their own benefits. “PWDs must strive to acquire education and gather the necessary knowledge on their rights as provided by the Discrimination Against Persons with Disability Prohibition Act,” he said. 71 Olokoro Street, Umuahia, Abia State. Plot 703, Idris Gidado street, Opposite New City Hotel, Wuye, Abuja. CCD is recognized by Federal and State institutions as a credible NGO working on disability matters. We have over the past fourteen years sought a redefinition of society’s perception of the plight of persons with disabilities.